I love cheese. I can’t help how much I love cheese! 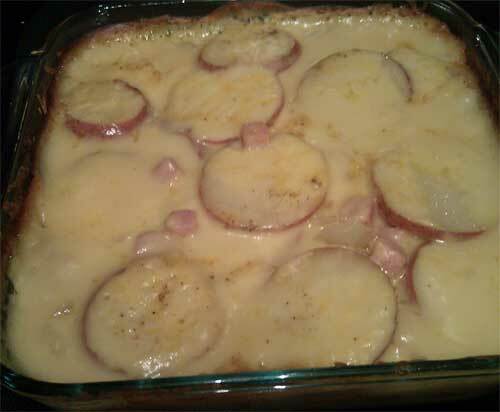 I was craving something cheesy and decided to transform my cheesy red potatoes au gratin into a full meal rather than a side dish by adding ham. Butter the sides of a one quart casserole dish. 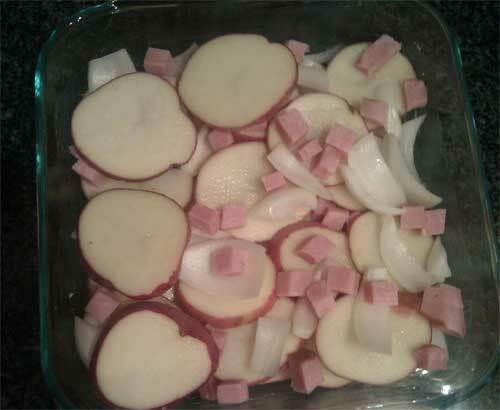 Add potatoes, cubed ham steak and onions spacing evenly. 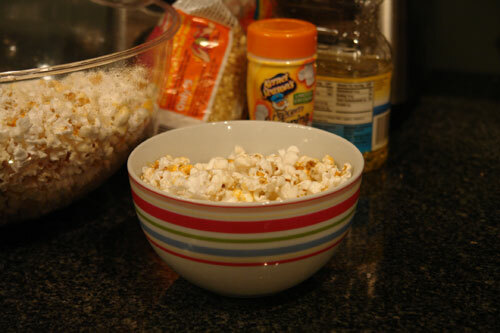 Heat butter in a medium pan. Add flour and salt stirring frequently with a whisk. Once this is all mixed add the milk. Keep cooking and stirring until thickened. Add 1 ½ cups of cheese into the sauce. Keep stirring until the cheese has melted into the sauce. Be careful not to overcook the sauce and to just get it slightly thick. Add fresh ground pepper and stir into sauce. 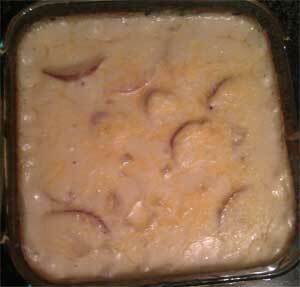 Pour cheese sauce over potatoes and onions. Sprinkle fresh ground pepper and remaining ½ cup of cheese over the potatoes. Cover dish with tin foil and bake in the oven for 60 minutes. Take out the potatoes and remove the cover. Sprinkle a little more cheese and place back in the oven uncovered for 10 more minutes. Remove and serve. 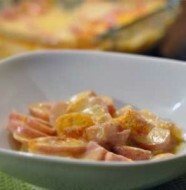 I did a recipe refresh on this recipe, the newer version is posted here: Ham and Red Potatoes Au Gratin. 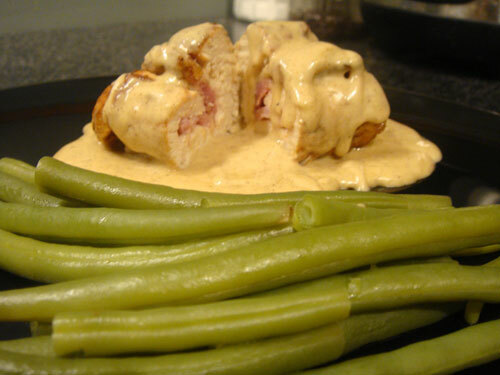 Best Chicken Cordon Bleu Ever!